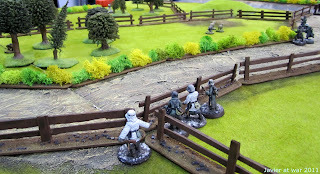 Today we played the mission 5 from the rulebook, but slightly modified. 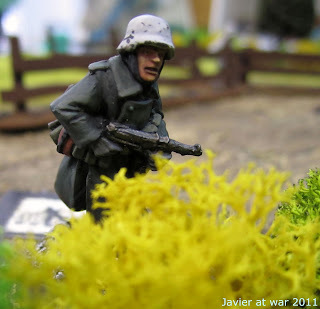 All the wonderful miniatures and terrain are from Estudio Porto. I commanded a squad of seasoned Panzergrenadiers with two Mg34 and two servants, vs. a Red Guard squad with one sniper and one DP light machine gun with servant, commanded by Adolfo. There was a partisan in the middle of the table with vital information and we both had to capture him and his documents for interrogation. 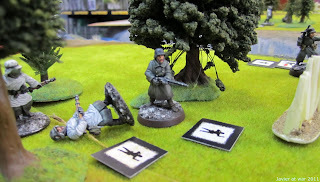 I deployed one Mg34 with server and supported by one rifleman on each flank, and the rest of the squad behind the central wood. 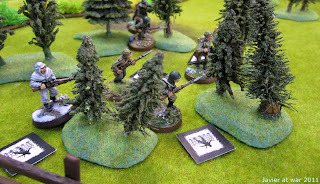 The Russians deployed two soldiers on the left flank, only one on the rigth one, and the rest inside the central wood in his deployment zone. 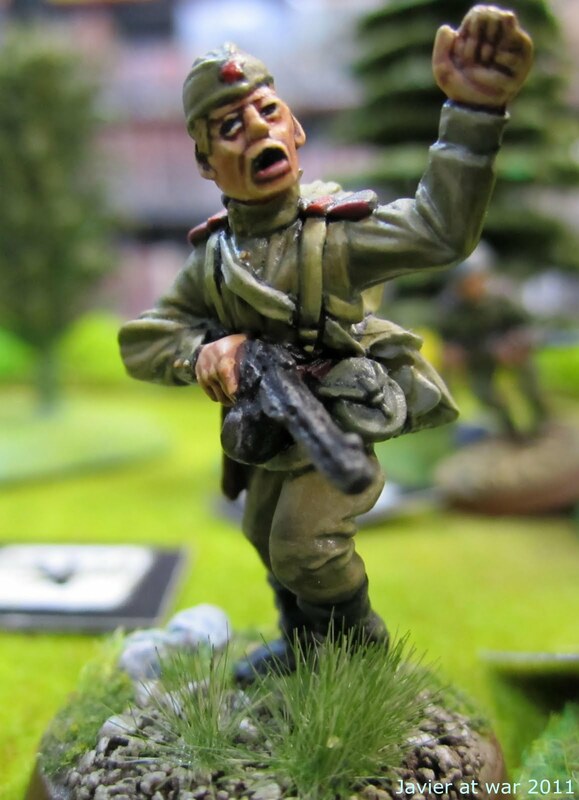 While the central forces advanced towards the partisan, both flanks were shooting at each other, with the Germans dominating the left flank and the Russians the right one. 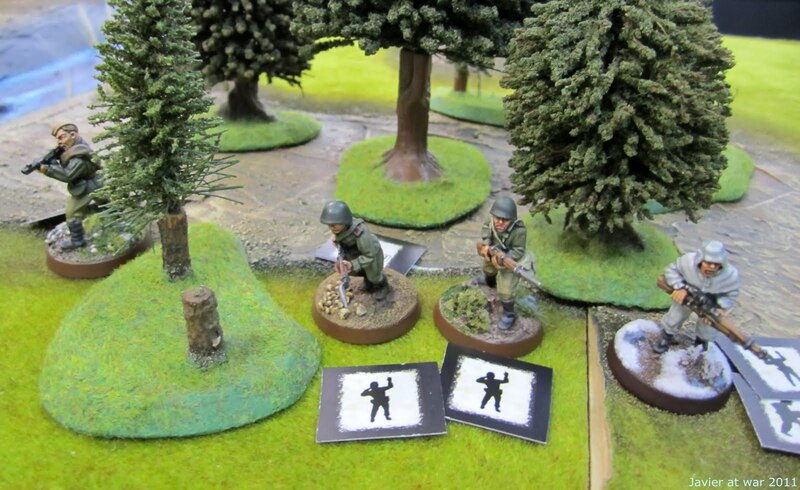 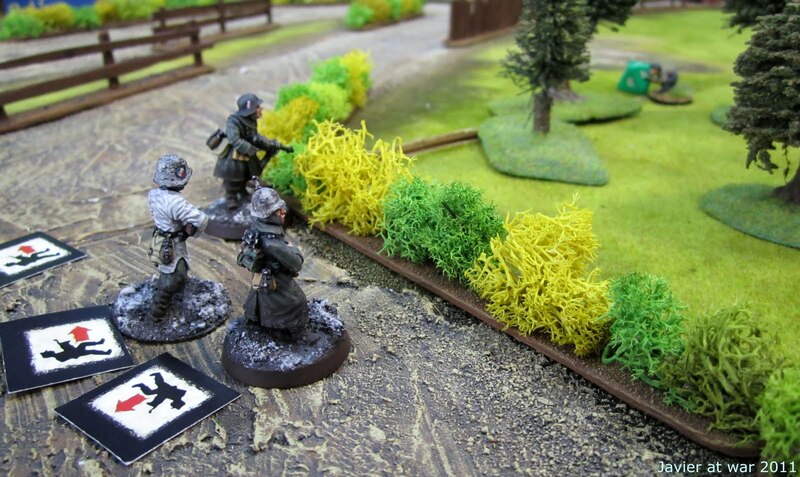 Germans dashing through the road and Russians crawling through the woods, towards the objective. 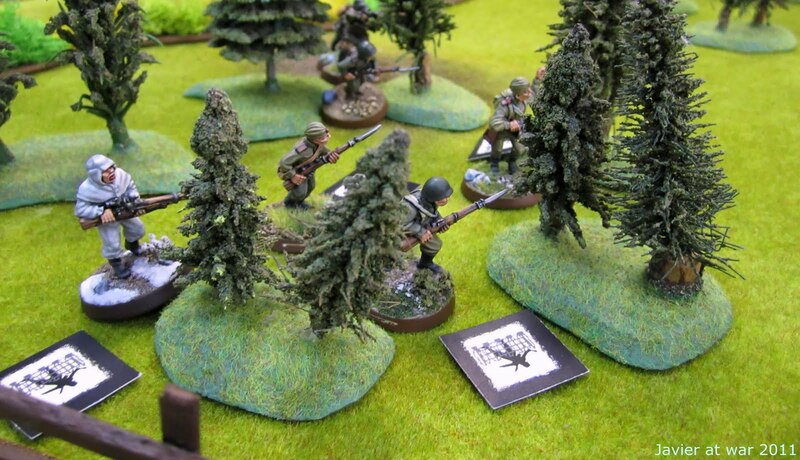 Germans exchanged with Russians wounded per dead, and soon the numeric superiority was noted. Finally, the Germans managed to capture the partisan and take him back to their lines. 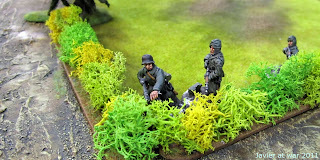 Axis victory. 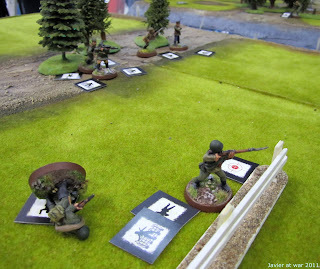 Today we played our first game of Operatio Squad. Our game did not go very well as I had not slept the night before and besides I had got flu, and my opponent had not read the rules. Actually, we run out of time and we could not finish it, although the victory was closer to Germans. 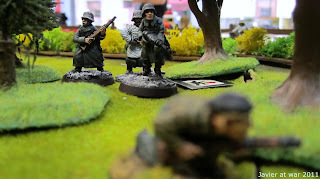 We played in one of the board games of a local shop, and with some of the figures from its studio. 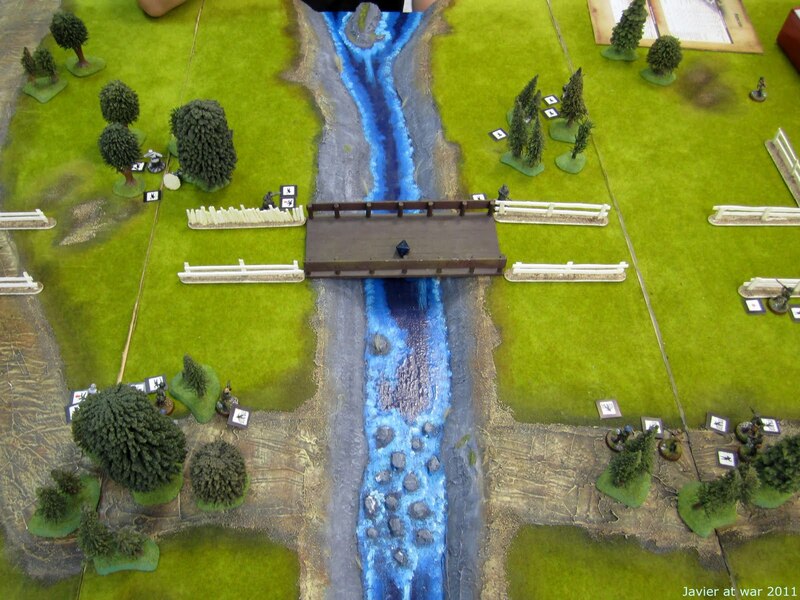 We played the scenario number three, take the bridge, and we quickly were shooting at each other from the forests. 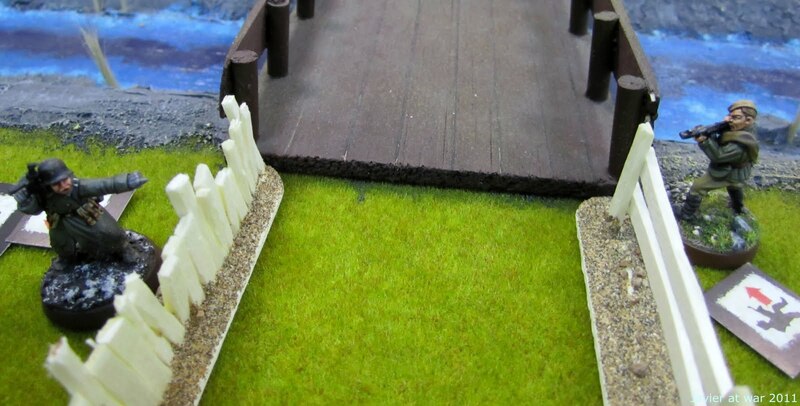 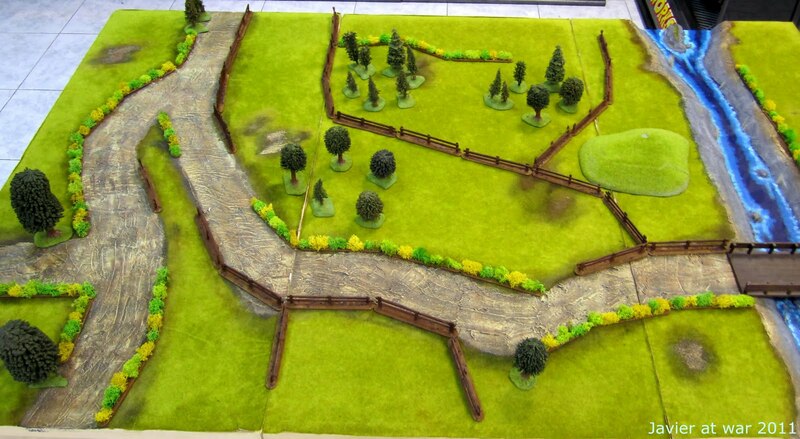 (We had to move the bridge off the road and put in the centre of the board as per the scenario). Below you can see some instants from the game. All pictures are clickable. 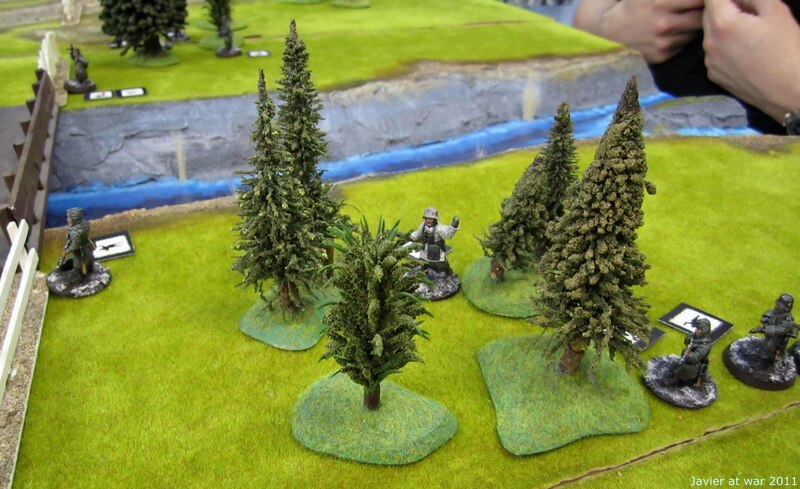 Russians on the right flank spotted and pinned, with comissar in the forest at the bottom. 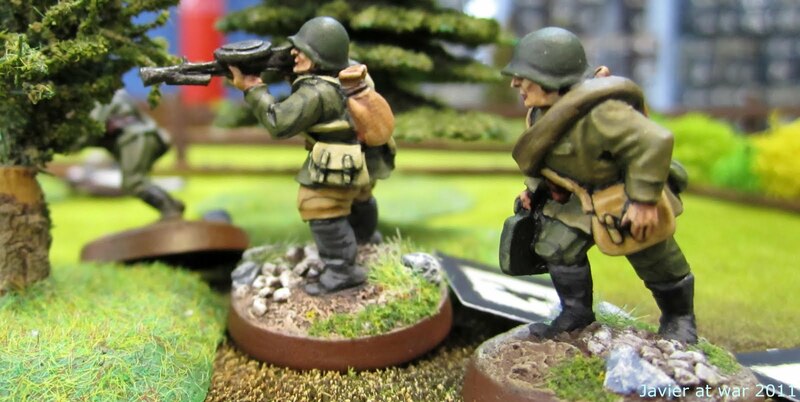 More Ruskies with a sargeant and a sniper on the left flank. Here we can see the German and the Russian sargeants next to the bridge and throwing grenades at each other. The German was wounded and the Russian KIA. 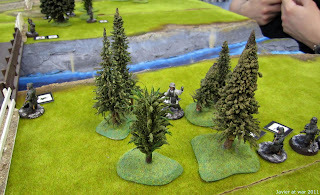 I hope to post a proper battle report from our second game on friday.